Last week we launched part 1 of our Bollywood wedding song playlist and it was a resounding success! Pleased to inform you that we are now onto our second instalment which is our mehndi songs special. The mehndi function is so much fun for many reasons. Much like a bridal shower, the intimate celebration takes place in the presence of the women of the family and close girlfriends. It’s a time to come together for a night of song, dance and the all important mehndi applying. 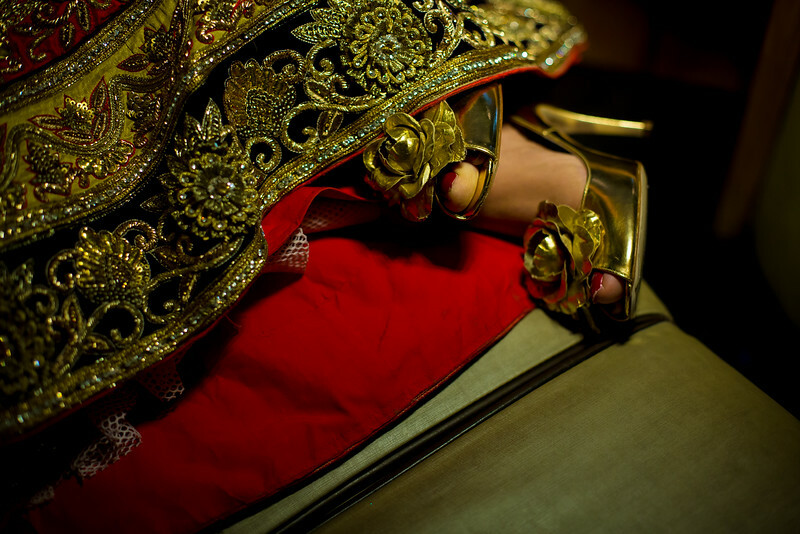 Whilst performances are not compulsory, they do form an integral part of a mehndi ceremony. Often your aunties will break out into a traditional number, but if you want to totally avoid this all together, get your playlist ready (hint.. hint) and stream them full blast on the stereo. Today we are sharing some of our favourite classics from the nineties and noughties as well as a couple of mainstream pop hits that never grow old. There are also a couple of surprises in there! Once again, we have a countdown of 10 favourites below and the full playlist is available to view over on our YouTube channel. Subscribe to keep an eye out for daily updates maharanis! I bet you knew this one was coming! One of the best Bollywood mehndi songs in our opinion. AR Rahman’s beautiful composition talks of the beauty and significance of the mehndi ritual. Singer, Alka Yagnik’s sweet and soulful voice will compel you to listen and take in every line.. “Mehndi hai rachnewaali, haathon mein gehri laali.. kahe sakhiyaan, ab kaliyaan – Henna paste is going to be applied, it will stain my hands red. My friends say, now flower buds.” This tune is timeless and is the perfect introduction to your mehndi party song list. What a fun wedding number! Simply put, the Punjabi lyrics talk of the transition from singleton to married material. We have no idea when it comes to Punjabi translations, so we kind of had to look this up.. “Loudspeaker te, Madonna vajdi ho laike virgin.. aithe utthe kehndi, arey phel karde, kabootar vargi, o nemma phir di, gootar goo kardi – On the loudspeaker, Madonna’s ‘Like A Virgin’ is playing, and the lyrics are provocative, you see lots of pigeons around and then you roam around chattering like a pigeon..” LOL! Now this song captured the hearts and attention of many brides when it released all those years ago (was it 1989?). Sridevi’s amazing dancing was out of this world and so was the tune. While it may be slightly difficult to wear bangles for this song as your hands will be full of mehndi paste, doesn’t mean you can’t break out into some epic dance moves right? We say, play this at the beginning when your feet are nice and dry! This pop song, sung by Anuradha Paudwal, was a chartbuster back in the days and you would find this song on all wedding related CDs at the good old CD store. Remember those? Accompanying the song was this sweet video clip which made us feel nostalgic all over again. Sigh..
Another stunning dance number for you and your maharanis. It’s kind of like a send-off song which is sung at the wedding by the bride’s friends. We did a little research about the meaning behind this beautiful AR Rahman song. So as you may know, the ‘kalsa’ (or ‘kalse’) is a religious article in Hindu tradition that’s used in almost every religious ceremony. It’s a symbol for health and prosperity. The bride is parting ways from her innocent childhood days and her family home to light the ‘diya’ (or lamp) near the Tulasi plant. Quite traditional, but it’s such a fun, light-hearted dance number for everyone involved in the mehndi party. When it comes to nineties pop songs, nothing quite beats ‘Gud Naal Ishq Mitha.’ Whether it’s Bally Sagoo and Malkit Singh’s version or some of the newer remixed versions, here’s a song that’s on every couple’s wedding playlist. A popular tune at the sangeet or wedding day, why not play it at the mehndi party? Ladies, it’s time to get your dancing game on because this fabulous wedding tune is going to get everyone on the dance floor. Would you believe this song is over 20 years old! It sounds like an old school tune, but in our eyes, this one is timeless. With lyrics like “Meri maa ne laga diye solaah button meri choli mein.. Mere baabul tu ab jaldi se baithaade mujhe doli mein – My mother has put sixteen buttons in my blouse.. My father, make me sit in the wedding palanquin quickly” you’ll want to play this one on repeat! We were disappointed that we couldn’t find a clearer copy of this song over on YouTube! We’re not quite sure why Rani is singing about not wanting mehndi on her hands, but nevertheless, it is such a catchy mehndi song and Rani looks so gorgeous. The best part is that the choreography is so simple for all your girlfriends to dance along to. Last but not least, ‘Saajan Ke Ghar Jaana’ is quite possibly one of the all time classic wedding songs. We love this song so much that aside from having it on our engagement song list, we have also decided to include it on the mehndi playlist. Who knows, we might even add it on our Bollywood sangeet list next week! A stunning pre-wedding song and if you have that one girlfriend who can mimic Sonali Bendre’s epic dance routine, even better. There have been so many memorable Bollywood mehndi songs over the past few decades. We just couldn’t list them all, but if you want to check out our full playlist, you can do that here and don’t forget to subscribe while you’re there. What are your favourite mehndi songs? Let us know in the comments and stay tuned for next week’s Bollywood sangeet playlist! The ‘sagai’ or engagement is not just an important ritual in Indian culture, but it’s also the first of many steps toward marital bliss! Engagement ceremonies, or parties vary depending on how traditional, intimate or elaborate you are planning it to be. In India, it is a formal occasion which marks the bringing together of two families to exchange gifts, greetings, announcement of the couple’s wedding date and in some families, exchanging of rings. Like any celebration, the engagement is never complete without dance, singing and the streaming of full blown Bollywood classics and that’s why we’re kicking off the first of our four part series with a list of our favourite sagai songs. Whether you’re after smooth, soulful and romantic background songs or you’re ready to bust a move and get the dance squad all rehearsed and prepped with the choreographed routines, there’s a Bollywood classic for everyone. We have compiled a list of golden oldies, some of the best of the nineties, noughties and a few of our faves from today. There’s no surprise as to why our playlist features a few Shahrukh hits, but this guy is the undisputed king of romance and we couldn’t help ourselves. The ever popular Salman Khan features is also amongst the list as are the gorgeous Aishwarya and Priyanka. Wow, we can hardly contain our excitement. Without further a do, let’s officially start the wedding season with The Maharani Diaries, Bollywood Engagement song list! What is a wedding playlist without this classic love song? If you haven’t watched ‘Dilwale Dulhania Le Jayenge,’ perhaps you’ve been hiding under a rock, but this is the ultimate love song and as cheesy as some may think it is, wouldn’t it be lovely to have this track streaming in the background at your engagement party. Beautifully sung by Kumar Sanu and Lata, ‘Tujhe Dekha Toh Yeh Jana Sanam’ is right up there with some of the best love songs of all time. 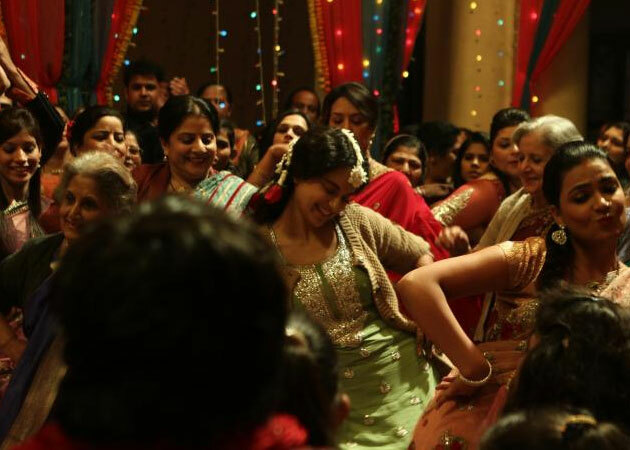 This Rajshri Productions number is a family entertainer and if you pay attention to the lyrics, well then you might be surprised that it is an actual engagement song! “Sab rasmon se badi hai jag mein dil se dil ki sagaayi – Of all the traditions in this world, the greatest is the engagement of two hearts.” The lyrics are super cute and it’s a fun, peppy tune to get the entire family to dance along to. AR Rahman’s melodious love songs are smooth as silk and timeless. A song such as ‘Ishq Bina’ will literally make you fall in love over and over again. It’s a slow paced song, but has an upbeat tempo in between. Perfect for a dance routine with your maharanis or perhaps to use as a celebration song before the ring exchange. A popular engagement party song, we love the playful lyrics of this tune and it’s pictured so well on Kajol and Ajay. We think the choreography wouldn’t at all be difficult to replicate. Make your occasion a memorable affair by gathering all your ladka’s and ladki’s to swing along to this gorgeous tune. The movie ‘Race’ was quite forgettable, but this soulful tune was most definitely not. ‘Pehli Nazar Mein’ is quite possibly one of the most played love songs at weddings. The lyrics are so aptly suited to the grandness of the occasion and while it’s often used on the wedding day, to be honest here’s a song that can be repeated at any function. It’s a memorable song and if you’re feeling the moment, have it playing during the ring exchange. A super hit, this light hearted wedding song is a cute number for the whole family to dance along to. If you recall, this tune was used quite cleverly in a medley in the smash hit movie, ‘Mujhse Dosti Karoge,’ While the match has been made, this is a song that you dance along to with your loved one at the sangeet, wedding reception or any pre-wedding party. One of our all time pre-wedding party songs, we love everything about it. Salman’s entry, Kajol’s expressions, the melody and the choreography is brilliant. A true engagement song, ‘Sajanji Ghar Aaye’ is the playful and heartfelt exchange between the bride and groom-to-be. It sums up everything beautiful about engagements and Indian weddings in general. For all the lovebirds out there, ‘Khuda Jaane’ is another one of those soulful tunes you can play over and over again and never tire of it. With great lyrics and melodious score, this romantic song will touch any bride or groom’s heartstrings. Salman has a lot of wedding hits to his name hey! This is such a fun song and will no doubt get anyone of your family members dancing like crazy on the dance floor. With cheesy and super cute lyrics such as “duniyaa ki yeh jodi to number one hai – this match is number one in the world” we can guarantee that your families will be tearing it up on the dance floor like there’s no tomorrow! Oh no! We only have room for only one more on our featured engagement song list. We couldn’t leave without listing a an Arijit Singh love song. The most happening singer of Bollywood right now, Arijit churns out hit after hit and his voice is so smooth that it makes you want to fall in love all over again. ‘Bolna’ is one of best love songs to have released in the past year and we think that it would make a beautiful addition to your Bollywood engagement playlist. 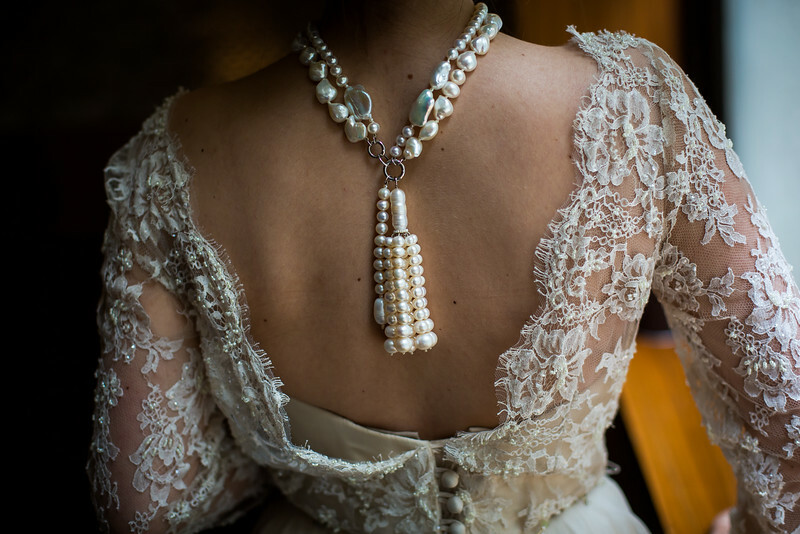 As brides, our main sources of inspiration these days are Instagram and Pinterest. This entails spending endless hours, scrolling through pages of gorgeous lehenga designs and yet you’re still just as confused as you were at the beginning! In today’s digital age, the announcement of an engagement or wedding is typically celebrated via social media platforms such as Facebook, Snapchat or Instagram. The importance of social media has influenced all of us in some way or another, but for the wedding industry in particular there is no limit. Brides and grooms are documenting everything from their pre-wedding festivities right through to the honeymoon. Whilst this is all fair and well, let us spare a moment to ponder about those couples who don’t wish to share their private lives on Facebook or would rather opt for an “unplugged” wedding. If you’re a romantic at heart, then you’re going to love today’s rustic romantic wedding inspiration mood board that we created for the month of love. Yes it’s Valentines week! So grab the champagne and heart chocolates and be prepared to be swept off your feet. Having downtime over the holiday season gave my husband and I a chance to review and re-focus. It was not all sun-drenched beaches and parties for us over summer. In between travelling across South Africa, we were working on a special little project. After one and a half years of blogging, travelling back and forth to London for wedding and fashion shows and networking with some of the best minds in the industry, we are expanding the business to bring you a fresh new website. Don’t worry we’re not changing the name. For those of you who don’t know, my journey into blogging was driven by my passion for weddings. I created my first blog with the help of a good old YouTube tutorial and I honestly thought it was the best website ever! As you can see, I’ve moved on.. Anyway, in between working and moving half way across the other end of the globe though, life has thrown me a few curveballs. However, it has been a learning experience and one that I am grateful for. Whilst working on the new site, it got me thinking about something a friend told me recently about setting new year’s resolutions. Now I’m not really one for resolutions and well I guess it is a little too late in the new year to even start. One of my good friends recently gave me a really good piece of advice to follow. Choose 3 words that you will live by this year, 100%. Try and incorporate these words into your everyday life in some form or another and follow up to see if you’re being true to yourself. I thought this was genius! I took time to reflect over this and came up with my 3 words: action, honesty and winning. With that, I will take action on a daily basis, be honest in business and in life and win in all areas of my life! So with these 3 words, I now have the strength and courage to fulfil my ambitions. I know exactly what I want to achieve this year. As cheesy as it sounds, we are here because we love what we do. Our goal is to produce authentic and meaningful content to our readers. 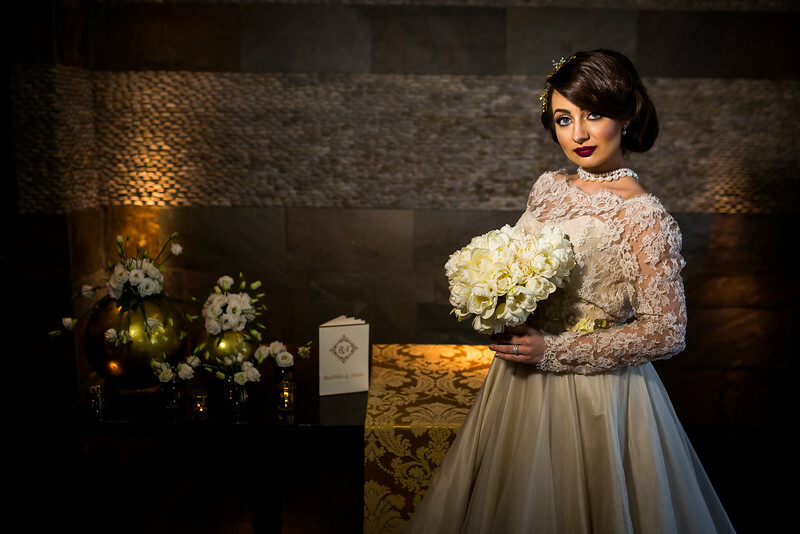 More than just another wedding blog, The Maharani Diaries is an experience and a place where brides and wedding industry professionals can come together to share their love for all things wedding related. 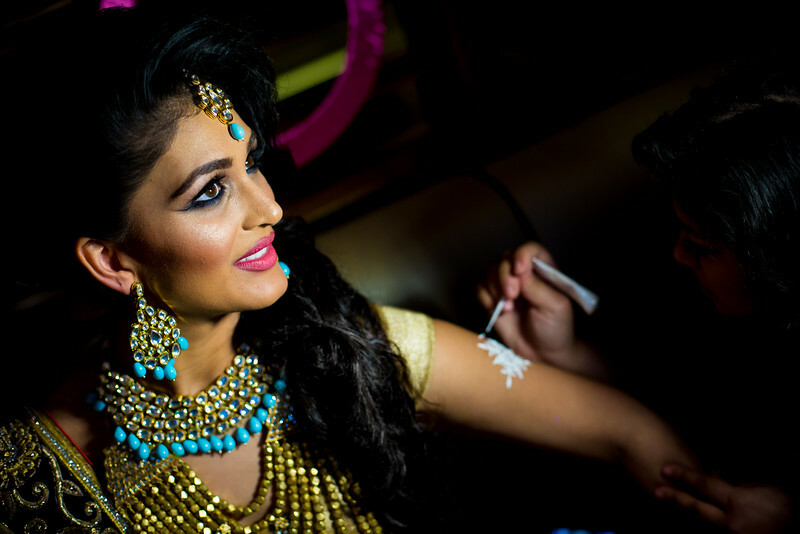 We want brides to celebrate the most important day of their lives by embracing their ‘inner Maharani.’ To have fun, embrace colour and be beautiful. Believe that you can have the time of your life during your wedding planning. Create the wedding of your dreams with us and celebrate the most important day of your life. Share your story with us. Whether it’s in the form of a wedding feature, or perhaps you’d like to share something in our forthcoming Facebook group. So, here it is.. The big announcement has finally arrived. Our new logo! We feel that it truly speaks us and reflects our values through and through. It’s a project that is very dear to our hearts and we’d love for you to let us know what you think! *The Maharani Diaries Facebook group will officially launch next month and new website in April. In the mean time, if you have any questions or would just like to say hello, send us an email to info@fresheyesinc.ddns.net! It is somewhat refreshing every now and again to attend a wedding showcase that is minus the pomp and show. 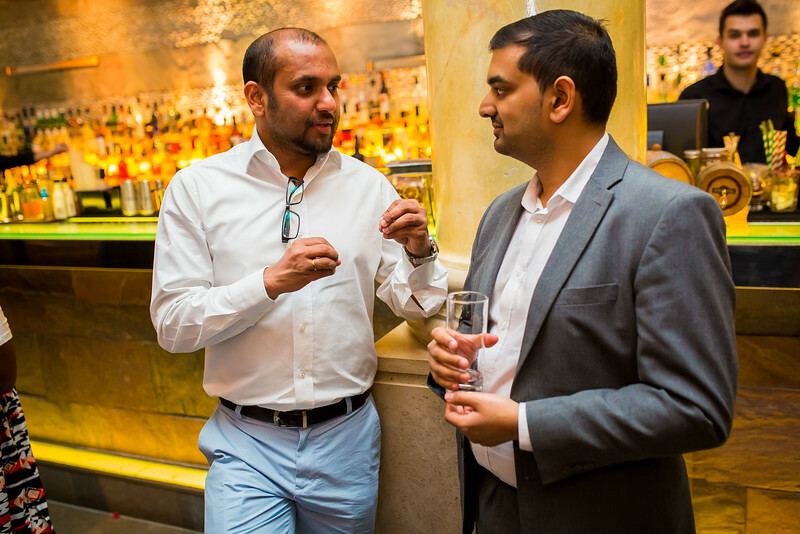 Earlier in the year I was fortunate to be invited to a beautiful and intimate showcase presented by the team behind Sundar Weddings and Mint Leaf Lounge Restaurant in London. 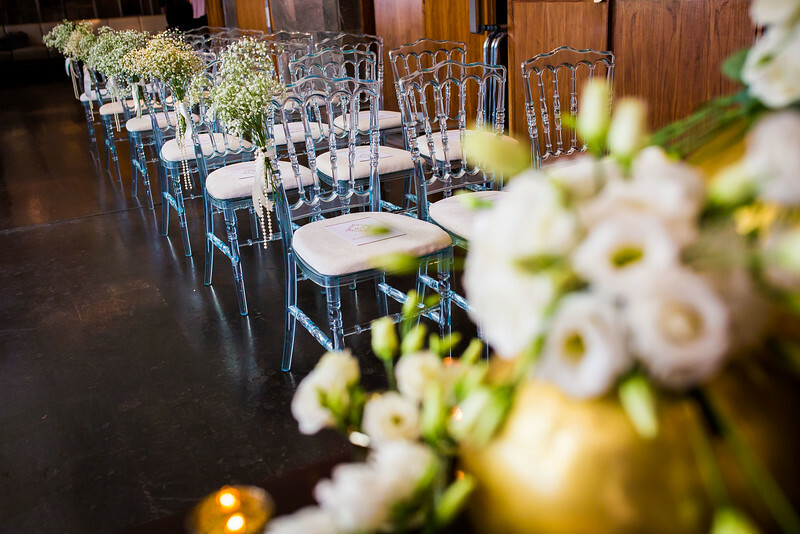 Set in the heart of the central business district, Mint Leaf Lounge provided the perfect backdrop for couples who are looking to break tradition and opt for an intimate wedding. A touch of romance in the city! Let’s face it; an Indian wedding is incomplete without a serving of sumptuous delicacies. 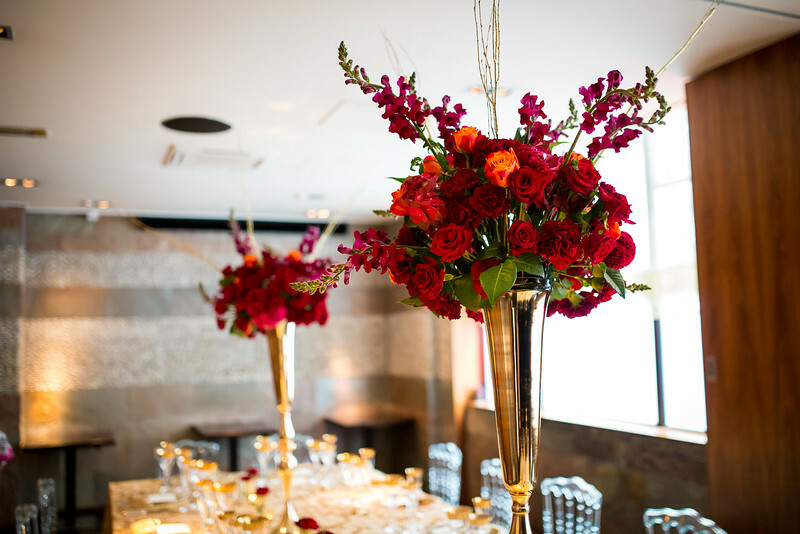 What a better way to highlight this than host your wedding at a stylish and sophisticated Indian restaurant. 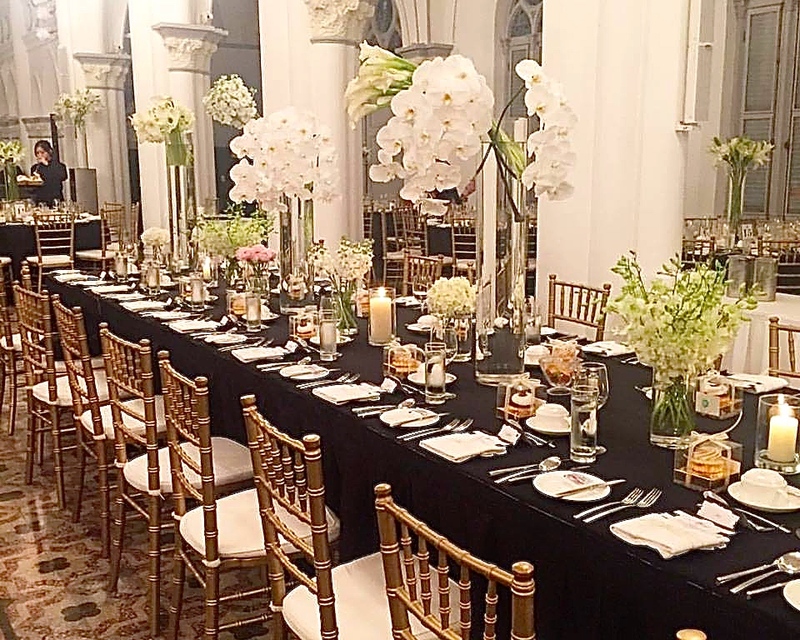 After the success of organizing a wedding reception at Mint Leaf last year, Ajay and LaToya Patel of Sundar Weddings decided to demonstrate how the classy restaurant can be transformed into a luxury setting. 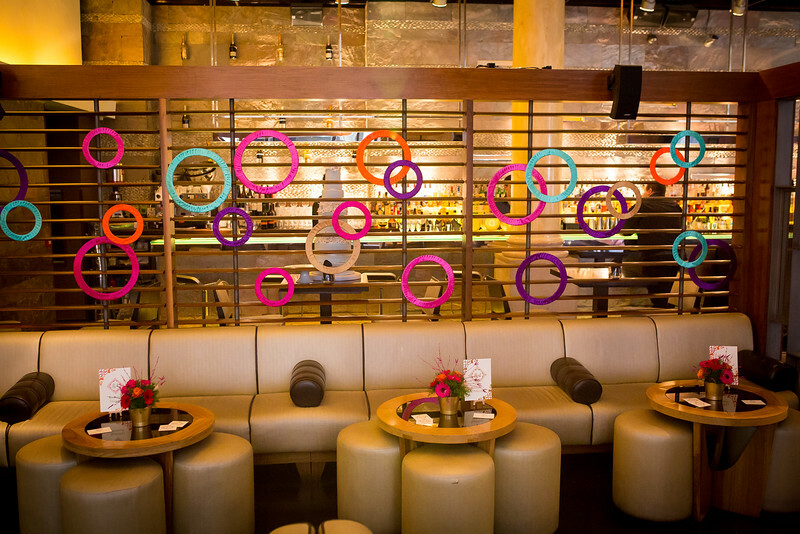 Whether it’s a mehndi function, engagement or even your legal wedding, Mint Leaf Lounge has a range of event spaces and can tailor a package suitable for your special occasion. 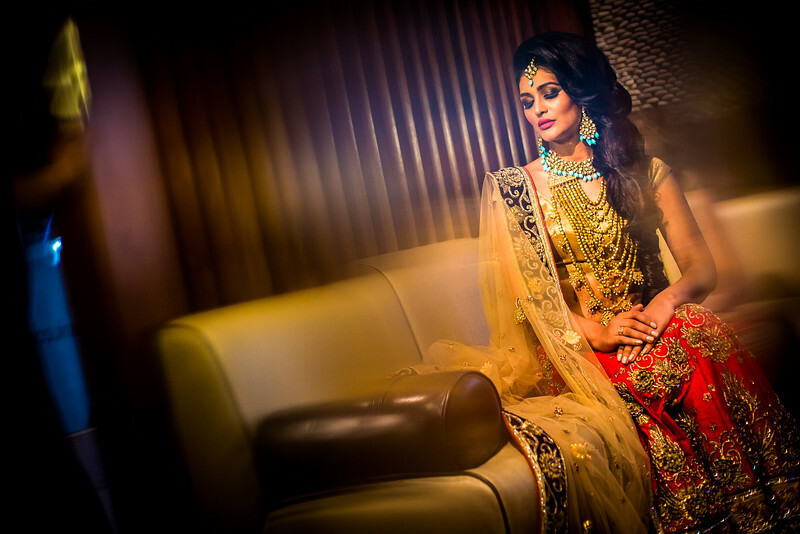 Sundar Weddings partnered with a host of talented wedding vendors on the day to highlight their beautiful work. 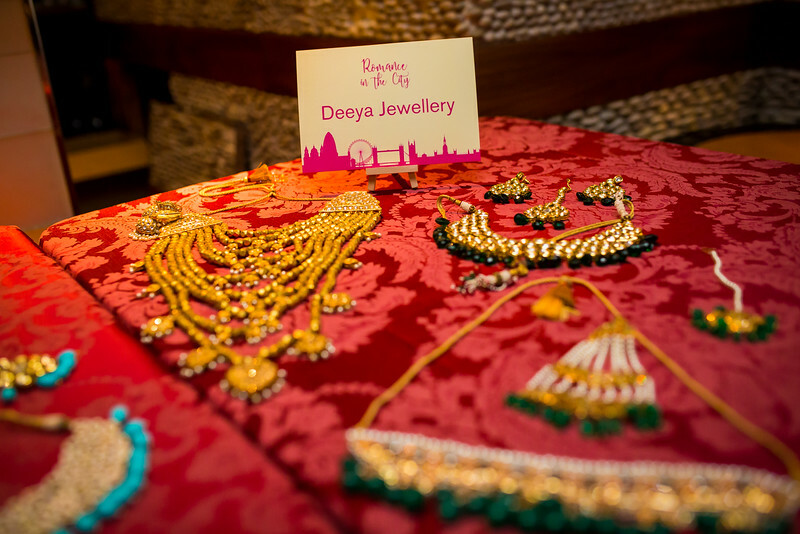 Vaishali Shah of Ananya created all the stationery for the Romance In The City showcase, including the logo, invitations, supplier name cards, order of service booklet, mehndi stationery, place cards and menus. She spoke of how she created the stationery and the experience of working with the other suppliers on the day. 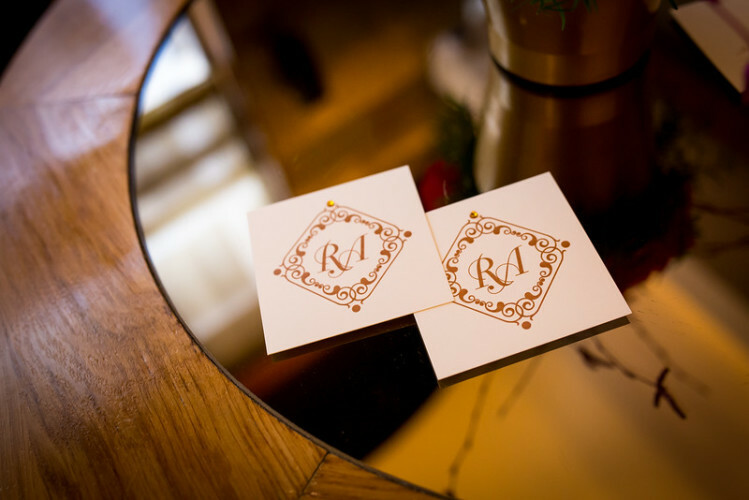 “Our stationery designs were created to reflect the opulence of the occasion as well as the prestigious venue of Mint Leaf restaurant. Printed on a luxurious pearlescent cardstock, its sheen added a glow to the overall effect of the stationery. 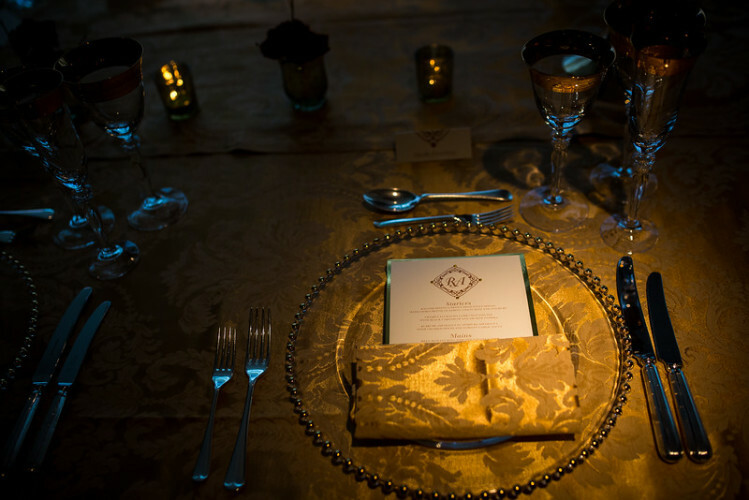 The gold lettering and design on the placecards and menus echoed the gold of the table linen and gold rimmed glassware. 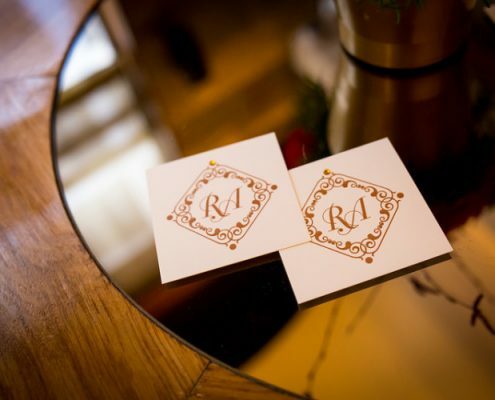 The RA monogram placed within the diamond shaped design, outlined with swirls and scrolls, emphasised the unique identity and personality of the couple. The same outline of swirls and scrolls was repeated on all the stationery to create harmony and cohesion of theme through the items of stationery. We hand finished the stationery with crystal embellishments to add that extra wow factor. 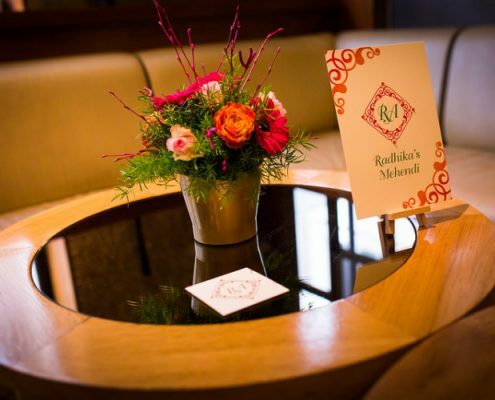 For the mehendi stationery, we used brighter colours of orange and green, to reflect the more vibrant, fun celebration. We also created cute monogrammed coasters for the drinks as well as ‘advice for the newlyweds’ cards. These advice cards are a great way to add a little fun to a wedding and were left on the tables for guests to help themselves. The cards allow guests to write a few lines to the bride and groom with their advice on how to make a happy and lasting marriage, and they also double up as a keepsake for the couple. To add to the grandeur of the occasion, models were dressed and styled accordingly for three “wedding events;” civil wedding, mehndi/sangeet and wedding reception. 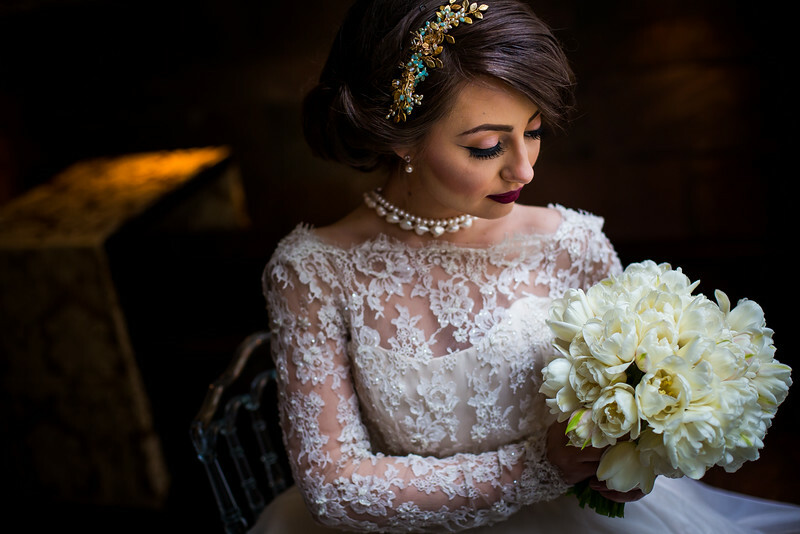 The team behind the styled shoot did an incredible job, setting the mood and tone for a fabulous wedding party. Bonnie of Dress Day was a key force in the styling of the model shoot. Here’s what she had to say about pulling off each look. 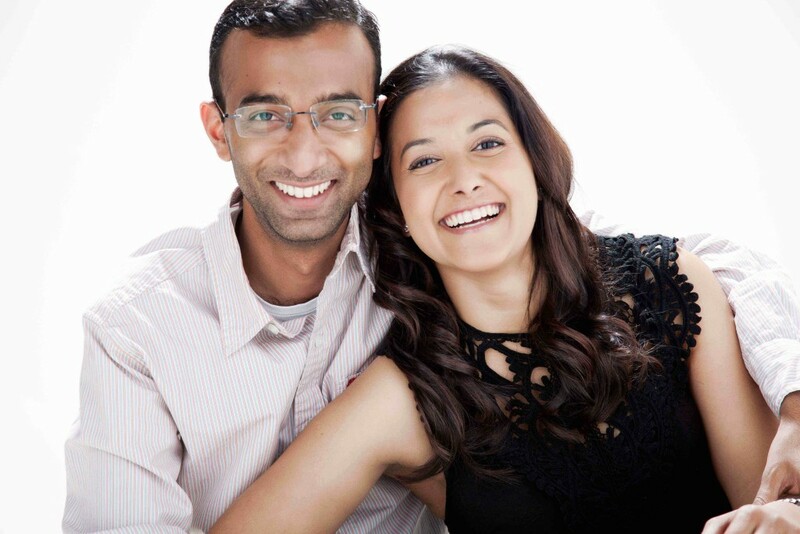 “Ajay and LaToya explained to me in great detail what they wanted to achieve on the day. 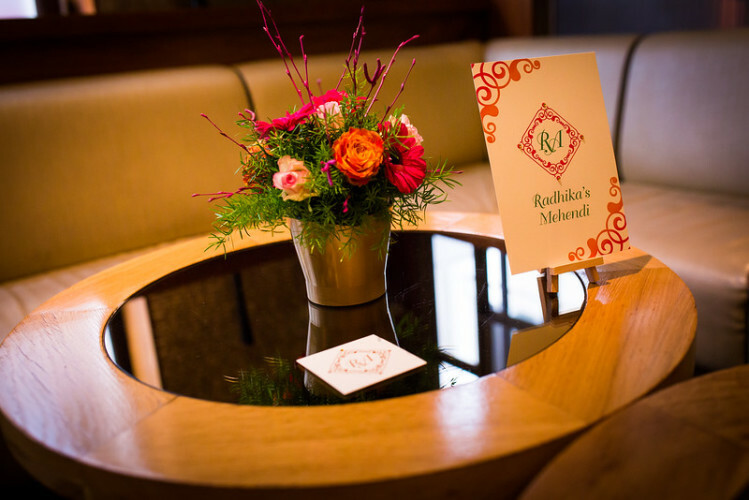 The concept was shared – they wanted to show how a restaurant, Mint Leaf Lounge, could be completely transformed for a wedding venue, and that they were looking at three settings – the mehndi, wedding reception and civil wedding. I used the colour scheme to pull all three looks together through each supplier. Based on the brief by Sundar Weddings, I discussed what look I had envisaged, so that their contributions were in harmony with the overall showcase. After some liaising, I coordinated with them to bring this vision to life. 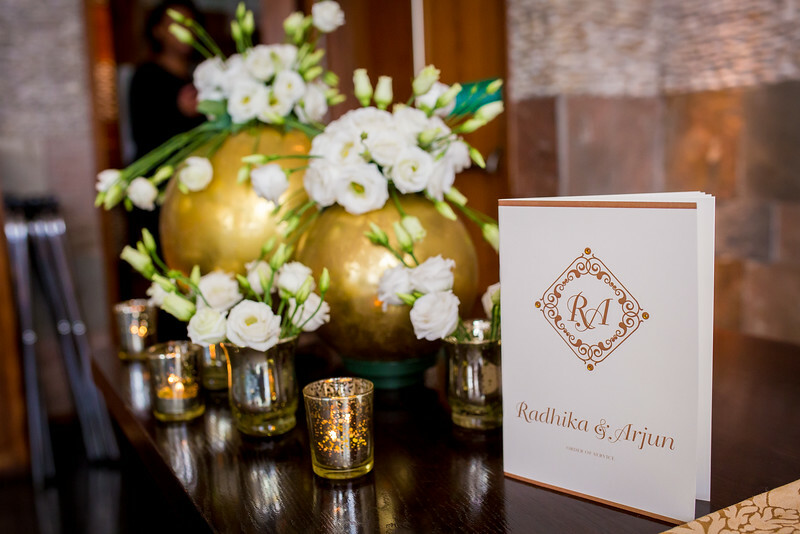 The reception table was without a doubt the highlight with Ananya, Niru Venkat Floral Design and Jones Hire adding an element of opulence to the venue space. 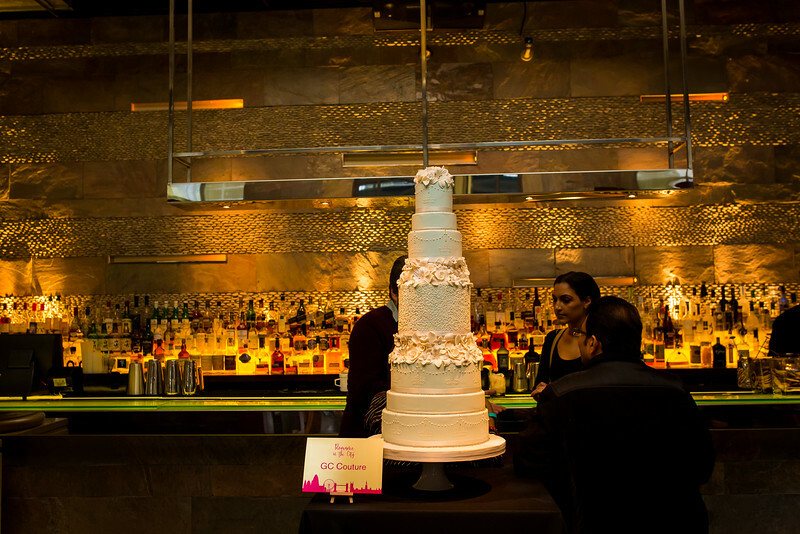 Specialty wedding cake decorator, GC Couture supplied a range of bespoke tiered wedding cakes that tasted just as amazing as they looked. Amid the luxurious and beautiful setting, the show wasn’t complete without some mouthwatering food and drink and foot tapping music. Mint Leaf showed off some innovative Indian cuisine over the course of the afternoon. 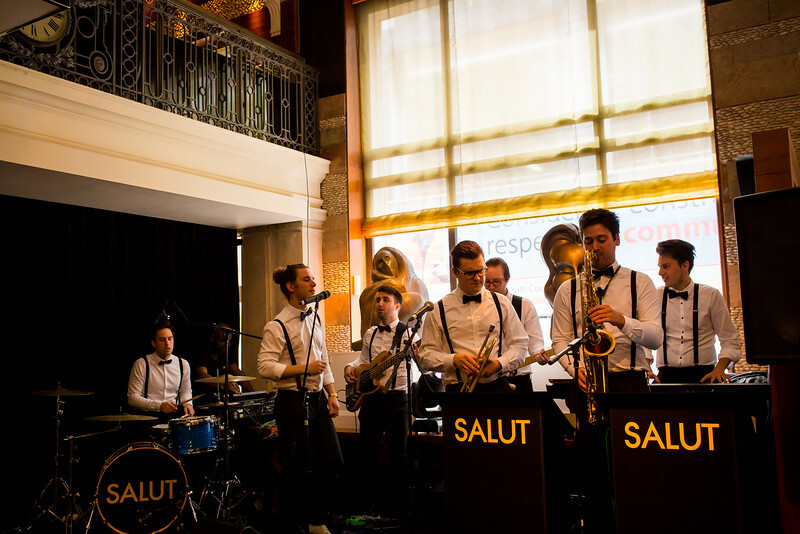 Guests couldn’t help themselves each time a new tray of canapés rolled out and after all this was over, 7-piece band Salut and DJ VNV Live got the party started. 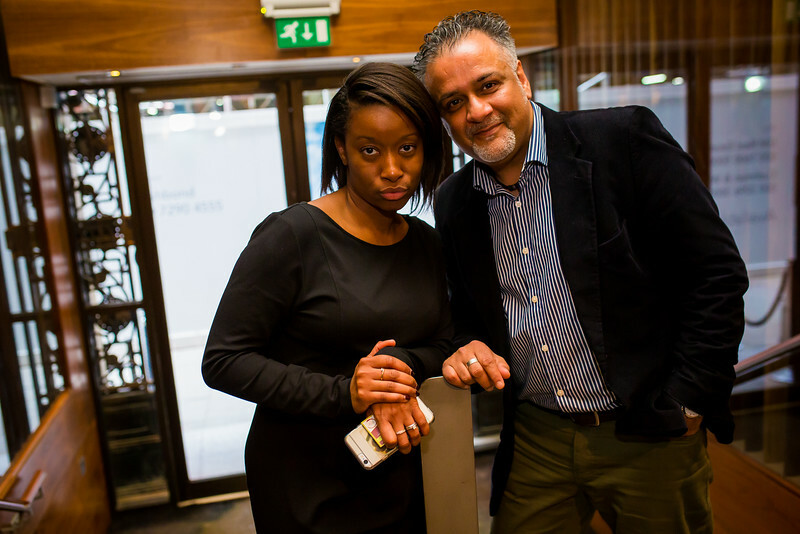 The afternoon’s events were captured brilliantly by photographer, Kabilan Raviraj. 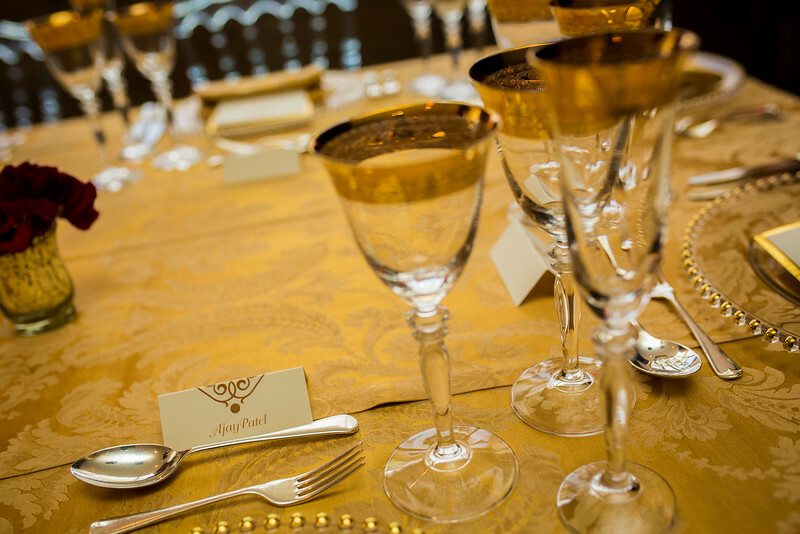 Mint Leaf offers exclusive wedding packages for Sundar Weddings clients. If you are interested in hiring the venue for your special occasion, get in touch with Ajay or LaToya. 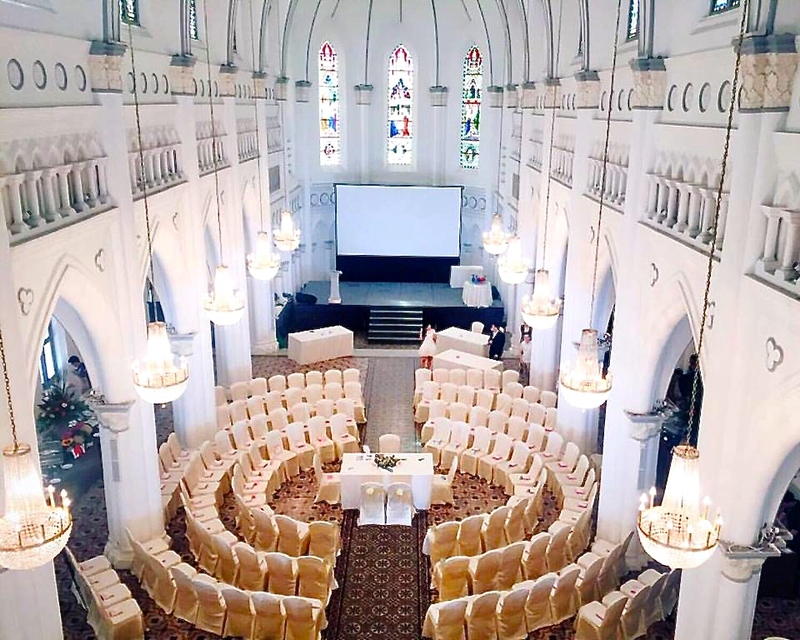 Singapore’s award winning historical reception venue, Chijmes annual wedding showcase was a dream come true for couples who believe in fairytale weddings. 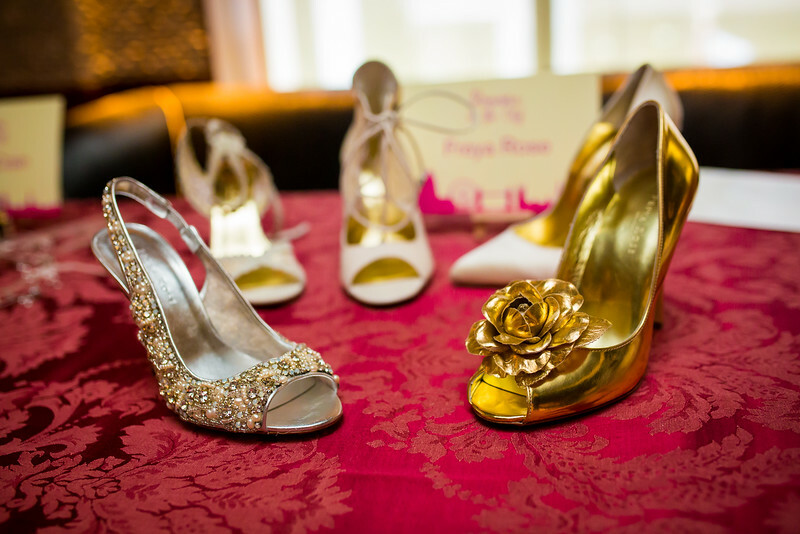 The event held earlier this year, was hosted in collaboration with Z Wedding Design and Chris Ling Photographers. 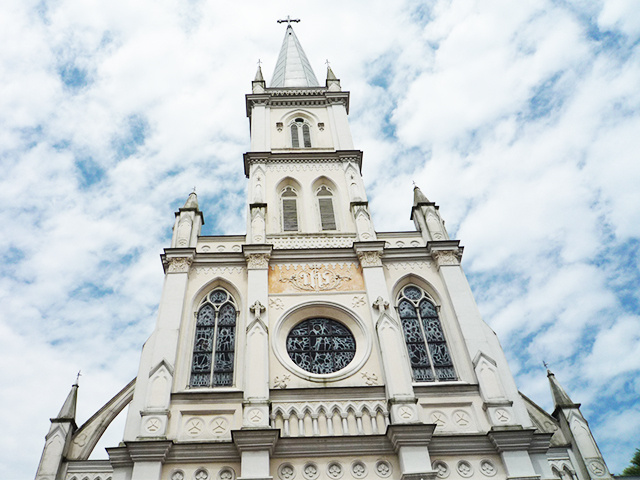 Situated in the heart of Singapore’s cultural heritage centre, this neo-gothic, architectural landmark is difficult to miss. 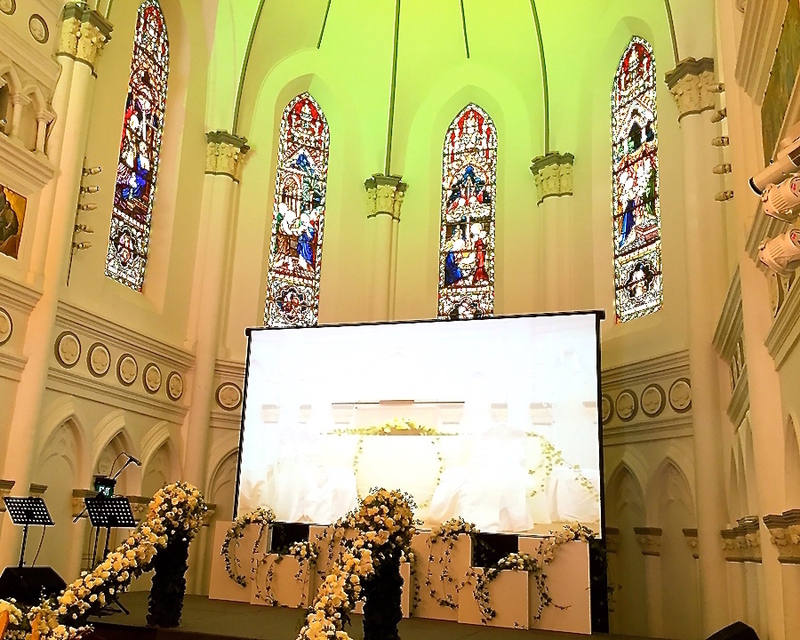 Originally a chapel, it was converted into a multi-purpose hall and today is a dream destination for weddings in Singapore. 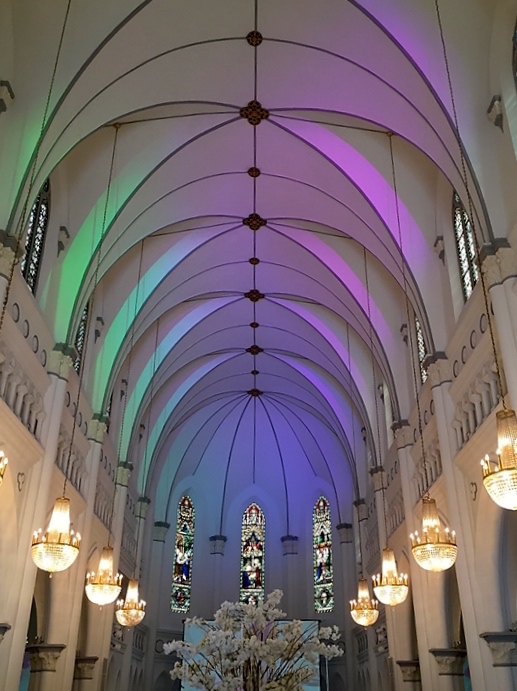 Its unique old world charm and ambience makes for the perfect venue to create the most memorable wedding. 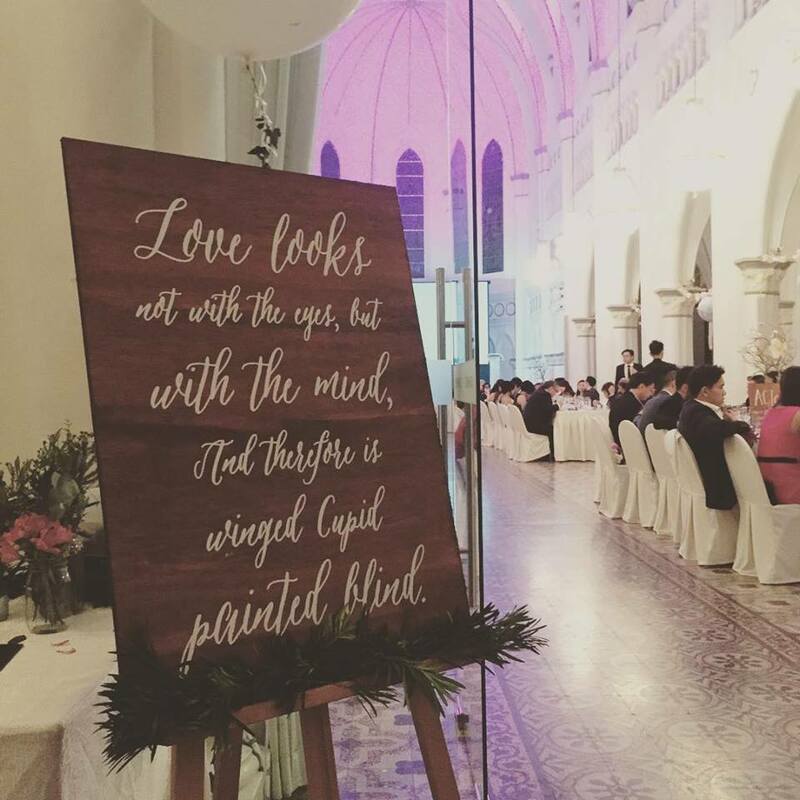 With its striking pointed arches, high ceilings, magnificent stain glass windows, ornate chandeliers and beautiful, intricately carved bird and floral motifs lined along the columns, Chijmes is the ideal venue for couples who are after a unique venue with all the extra trimmings. The hall has a seating capacity for 300 people and is fully air conditioned, with a stage positioned at the back of the hall. 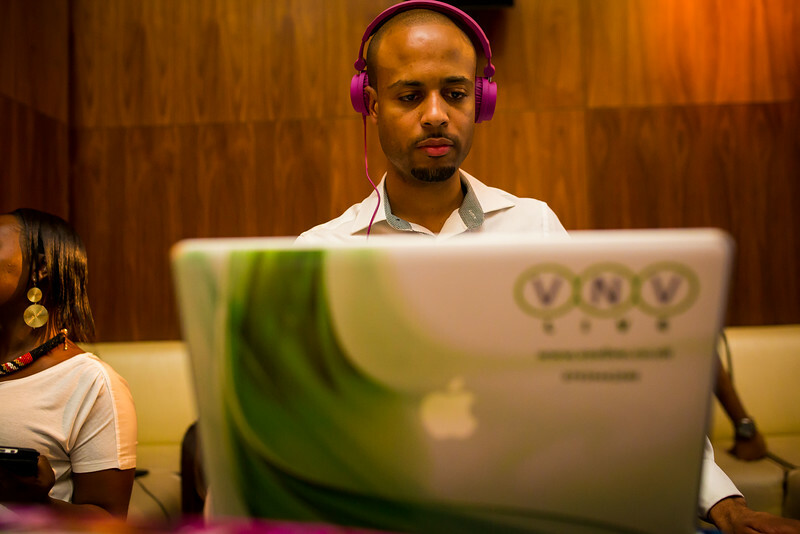 It is fully equipped with state of the art audio-visual equipment, including a projector screen and as an added bonus, wifi access. 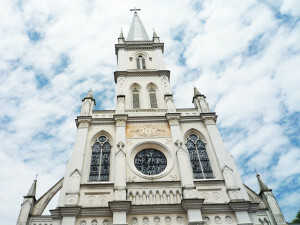 Chijmes is managed by the popular wedding planning group, Watabe Wedding. 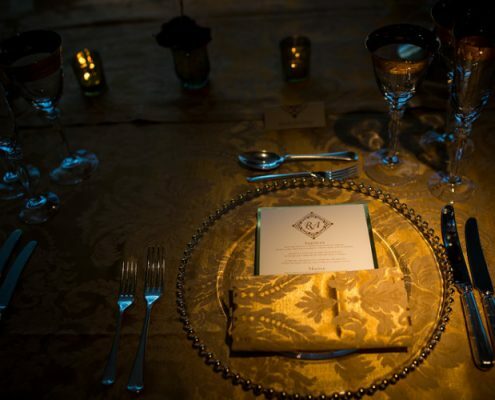 You have the choice between long or round tables with world-class food and beverage options. 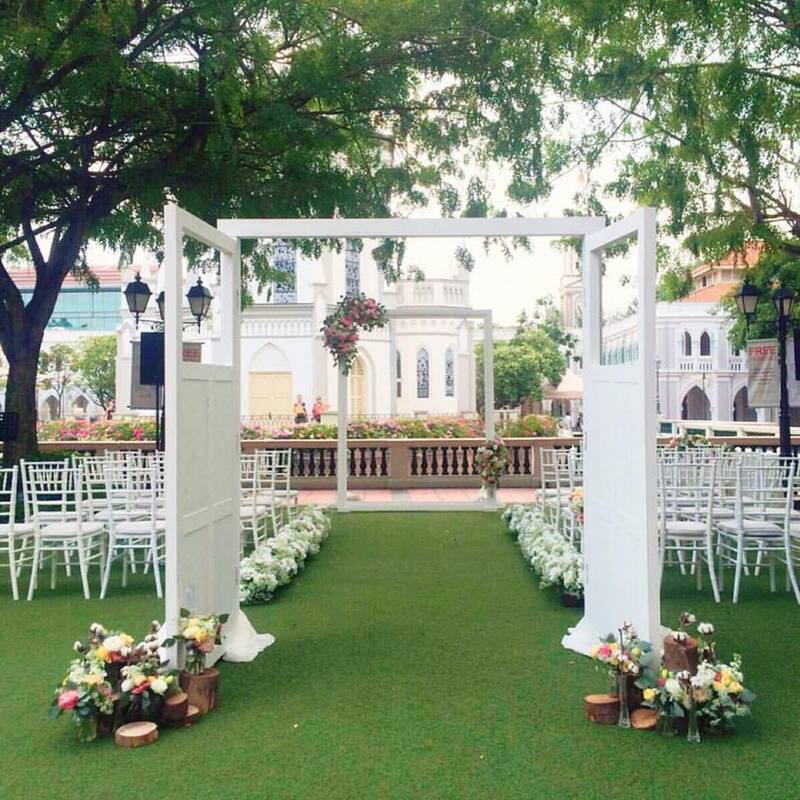 As for the wedding ceremony itself, why not opt for a tranquil outdoor courtyard setting or perhaps you might want to steer clear of the Singapore heat, Chijmes have a number of packages to suit your budget and tastes. 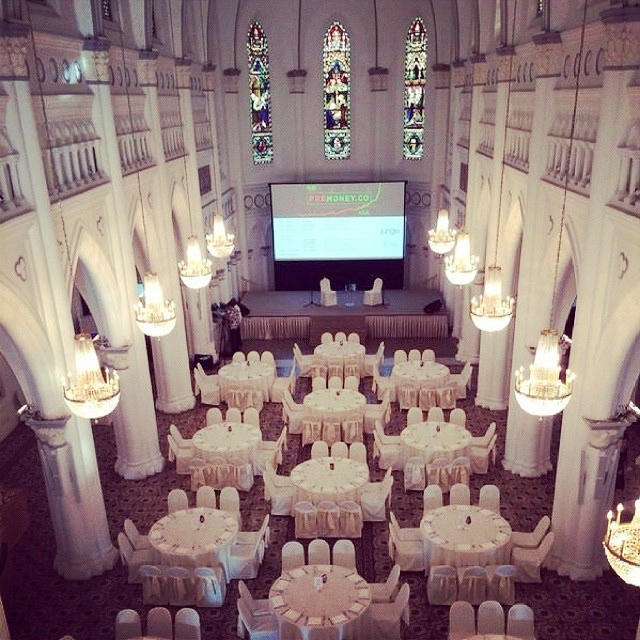 In addition, the Watabe group offers exclusive packages on top of the Chijmes venue services. 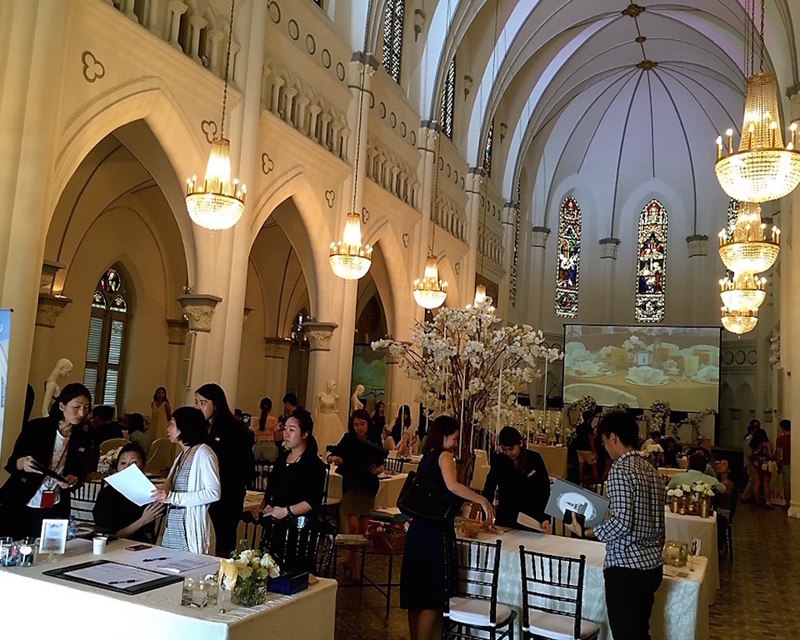 A number of well-known wedding suppliers were present on the day to offer their knowledge and expertise to future brides and grooms. 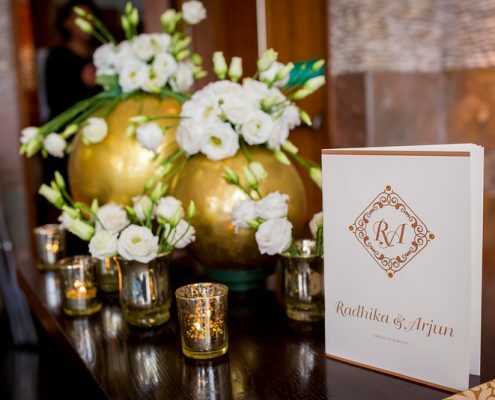 Established in 2003, Z Wedding Design boasts of a celebrity clientele. 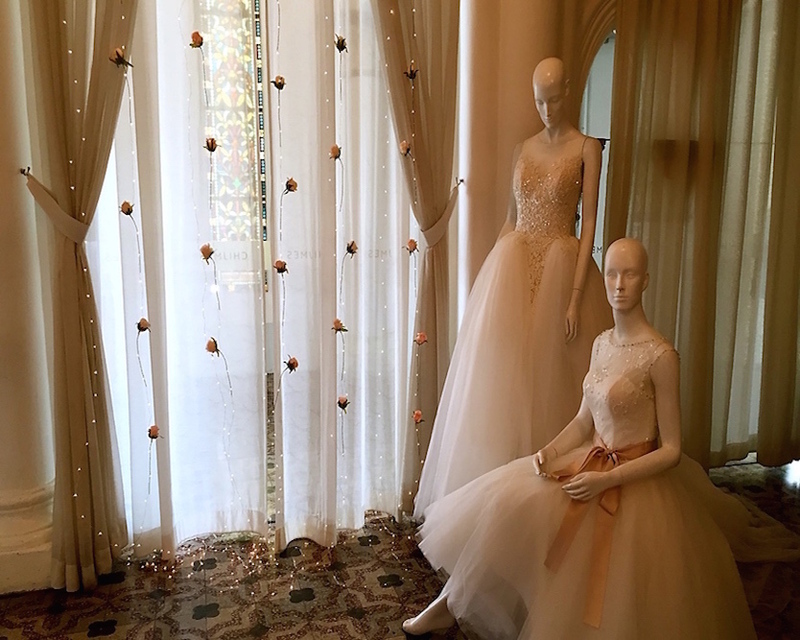 On the day, the contemporary bridal boutique house presented gorgeous 19th century inspired gowns paying tribute to the prestigious venue. 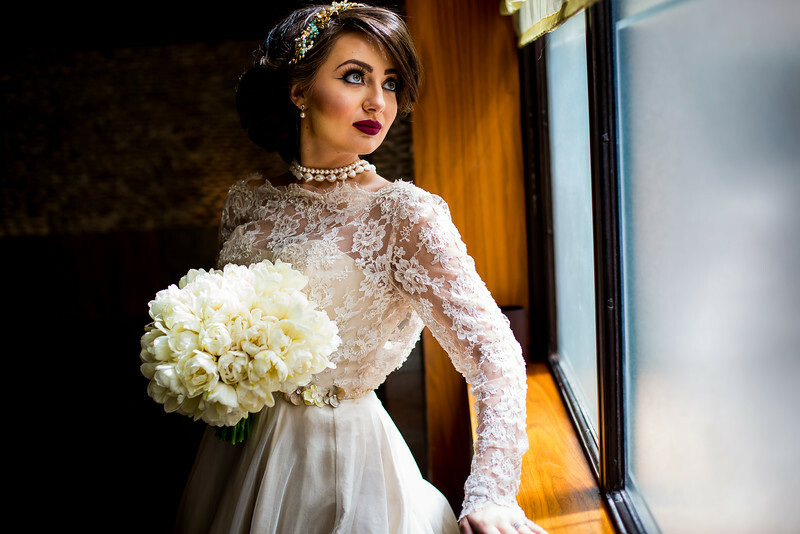 Wedding gown consultants provided professional fitting and styling advice as well as planning tips. The boutique is located on Tanjong Pagar Road and the designers/stylists are available for personalized bookings throughout the year. Whether it’s pre-wedding, destination wedding or even a studio shoot, international photographer/videographer, Chris Ling and his talented team design wedding packages suitable for all budgets. Chris is currently based in Singapore and Hong Kong with plans to extend his services to the wider Asian market and Australia. 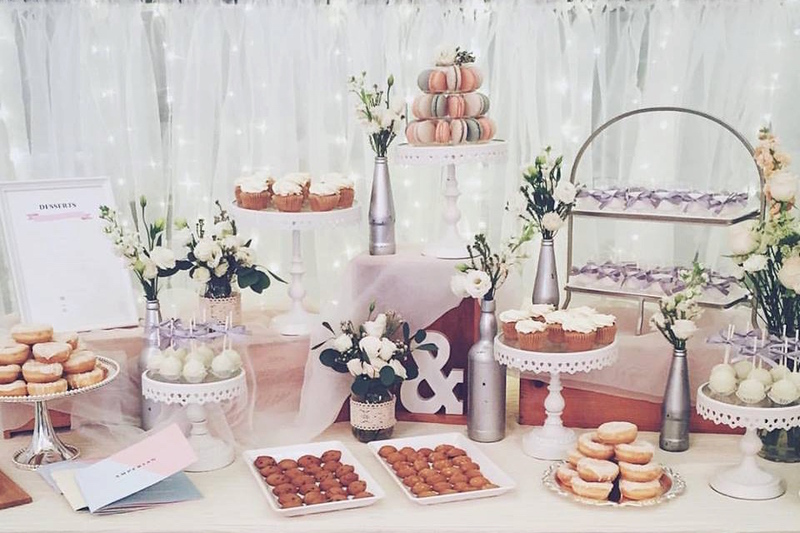 Wedding planners, Amperian’s elegantly styled dessert table was without doubt one of the highlights of the showcase. The team of talented decorators, designers and stylists can formulate a package to cater for all your wedding day needs. From stationery to hair and makeup and dessert table, Amperian pride themselves on great service. Style & Me is an image consultancy service providing fashion and style knowledge for men and women who want to shine on the biggest day of their lives. Situated in Duxton Hill, Fumi Lee and her team manages your overall appearance by matching according to your body shape and the sort of colors that will complement your skin tone and personality. 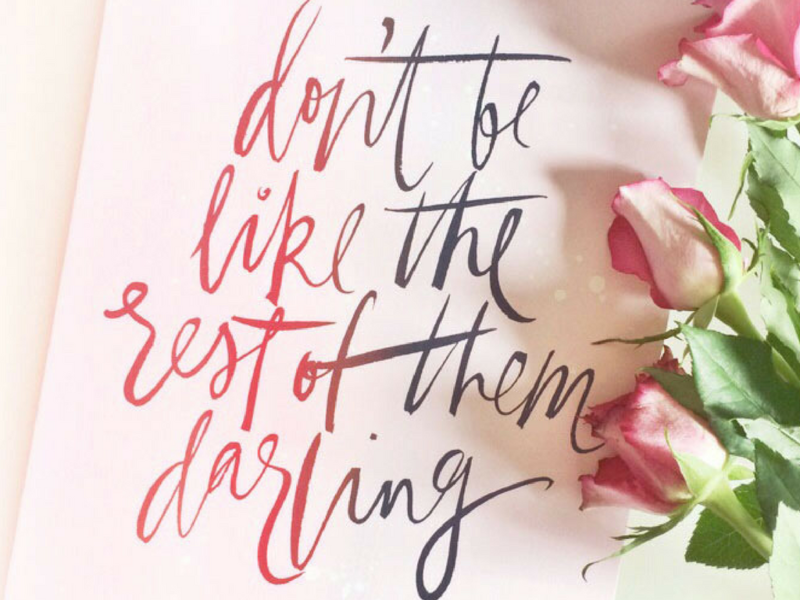 How many of us have struggled with DIY calligraphy? Famous for imparting skills in arts, crafts and the aesthetics, The Workroom were there to save the day conducting a calligraphy master class. 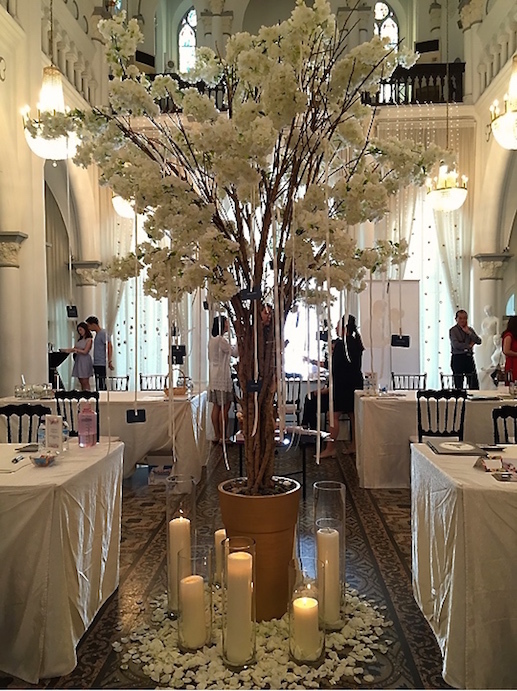 The team host creative workshops and master classes, including monthly calligraphy classes. 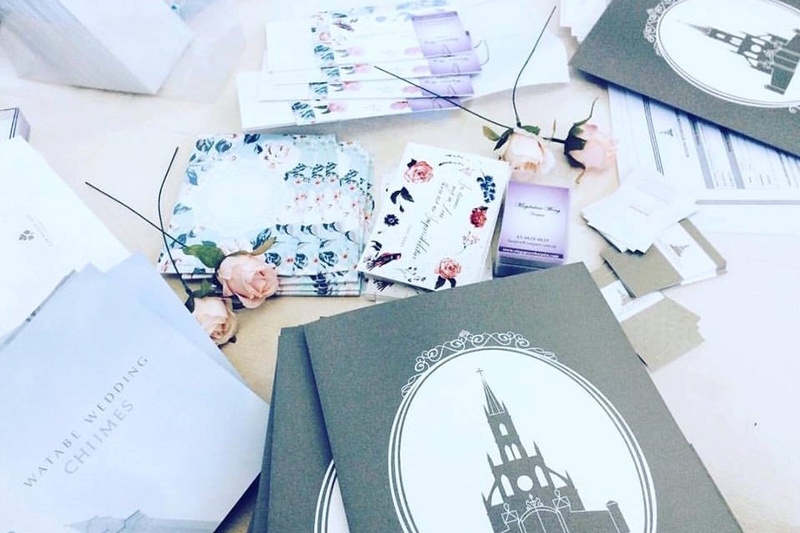 For the busy bride, The Workroom also create bespoke invitations and stationery, but for the bride-to-be with a more creative spirit, then enroll in a class ASAP. With a clientele boasting of Chanel, Dior and Gardens By The Bay, we are sold! Wedding entertainment is a key element of any Asian wedding and certainly something that you shouldn’t compromise on for your wedding. Sparkle Live Music are a team of versatile music professionals who cater to local and international audiences and their detailed wedding packages covers a wide repertoire ranging from pop, jazz, rock and evergreens in various languages. The performers also accommodate special requests. Other vendors present on the day included Elite Flora, rentals supplier, XOXO & Co. and Insagram photo printing specialists, Instaprint. Beauty experts from the industry were also in presence to impart their knowledge about looking your best on the wedding day. If you’re after luxury coupled with mouth-watering food amid stunning historical surroundings, then Chijmes is no doubt the venue of choice. 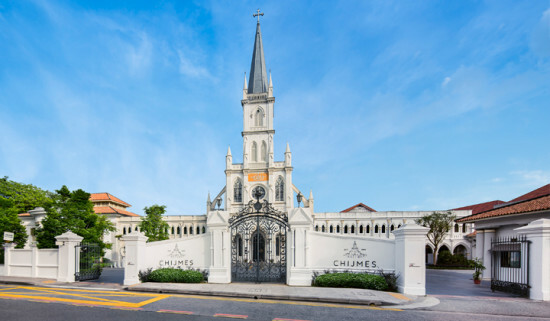 Chijmes is located at 30 Victoria Street, Singapore 187996. *Note – this is not a sponsored post. Images courtesy of Ashween Anand of Life 360 Degrees, Watabe Wedding, Your Singapore and Honeycombers.